Order Determined by Felker Ward Jr., available from Amazon by clicking on the book cover above! A personal, inspiring memoir of Felker Ward Jr., an Atlanta, Georgia, legal, business, community and military legend. He is also a husband, father of four and grandfather. Introduction by former Atlanta Mayor and United Nations Ambassador Andrew Young. ABOUT THE AUTHOR: Felker W. Ward Jr. is a principal in the investment advisory firm of Pinnacle Investment Advisors, LLC, located in Atlanta, Georgia. He retired from the Army in 1974 in the grade of Lieutenant Colonel (20 years’ service). Most of his military career was spent as a pilot, logistics officer and public affairs officer. He started his legal career immediately upon retirement. For 10 years, he was a partner in the law firm of Kutak Rock & Campbell in Atlanta, engaged primarily in business and corporate law. He also served as Managing Partner of Kutak’s Atlanta office. Mr. Ward formed Ward and Associates, Inc. (later renamed Ward Bradford & Co., L.P.) in 1988, and Pinnacle Investment Advisors in 1991. He received many awards and recognition for his accomplish-ments both during his military and business careers. Included in his military awards are the Vietnam Cross of Gallantry and the Legion of Merit. ABOUT THE CO-AUTHOR: Bob Andelman is the author or co-author of 16 books, ranging in topics from biography and business to crime and sports. Titles include: Built From Scratch, written with the co-founders of The Home Depot, Bernie Marcus and Arthur Blank; Building Atlanta, with Herman J. Russell; Fans Not Customers with Vernon Hill; Mean Business with “Chainsaw” Albert J. Dunlap; The Profit Zone with Adrian J. Slywotzky; The Wawa Way with Howard Stoeckel; The Profiler with Pat Brown; Mind Over Business with Ken Baum; Bankers Not Brokers with Merlin Gackle; The Corporate Athlete with Jack Groppel; Keep Your Eye on the Marshmallow with Joachim de Posada; and The Consulate (fiction) with Thomas R. Stutler. 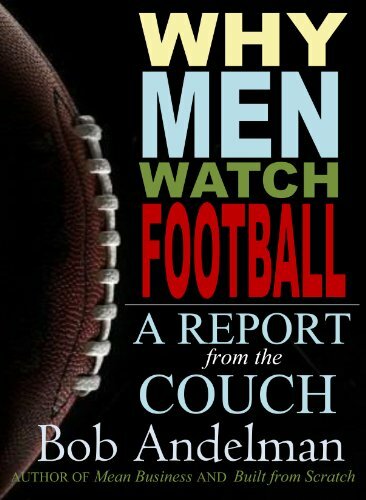 He is the sole author of: Will Eisner: A Spirited Life; Why Men Watch Football; and Stadium For Rent. He is also the host and producer, since 2007, of the video podcast Mr. Media® Interviews (https://mrmedia.com).